Tottenham manager Mauricio Pochettino has delivered what sounds like bad news on the Harry Kane injury front after he went off against Manchester City. The England international suffered an ankle injury after a clash with City ace Fabian Delph, and had to be helped off the pitch as it looked like he was struggling to stand on that leg. 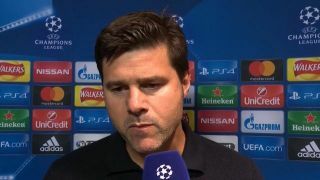 Spurs were still able to win in their Champions League clash against Pep Guardiola’s side, with Son Heung-min hitting the winner to give Pochettino’s side a 1-0 advantage from this first leg. Still, losing Kane will no doubt hurt Tottenham, with the 25-year-old showing himself to be one of the very finest goal-scorers in the world in the last few seasons. Even this term, despite missing a decent chunk of the campaign, Kane has managed 24 goals in 37 games in all competitions, and his absence could throw the race for the top four in the Premier League wide open. Spurs currently occupy fourth spot in the table, but things could go either way for them as they’re just two points off third-placed Chelsea with a game in hand, though only one point ahead of Arsenal in fifth, and three points better off than Manchester United in sixth. Losing Kane’s goals between now and the end of the season could make all the difference as these big names battle it out to be in the Champions League next season.